“Scrooge – The Musical” presented by Kokomo Civic Theatre will be held on November 21-23, 2014 at IU Kokomo Havens Auditorium. Don’t miss one of the best musical adaptations of Dickens’ classic “A Christmas Carol.” Visit www.KokomoCivicTheatre.com for ticket information. Shop local! Find locally-made gifts and delicious baked goods at the Kokomo Winter Market, located inside the Historic Train Depot on Buckeye Street. The Winter Market is open 9 a.m. – 1 p.m. every Saturday through December 20, 2014, and a perfect place to find unique holiday gifts! 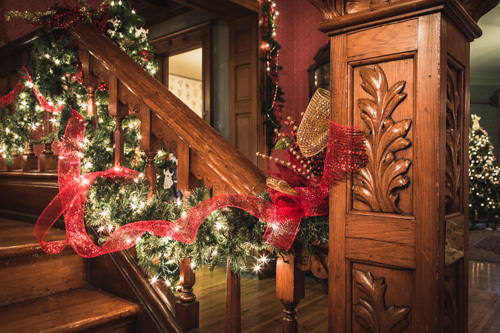 Christmas at the Seiberling tours will continue through December 21, 2014. Hours: Tuesday – Sunday 1-4 p.m. In addition, the Mansion will be open several weekends for special evening tours! These dates include December 4-5, 11-12, and 18-19. Thanks to local sponsors, free admission will be given on December 4, 18, and 19. Check out www.HowardCountyMuseum.org for more details. 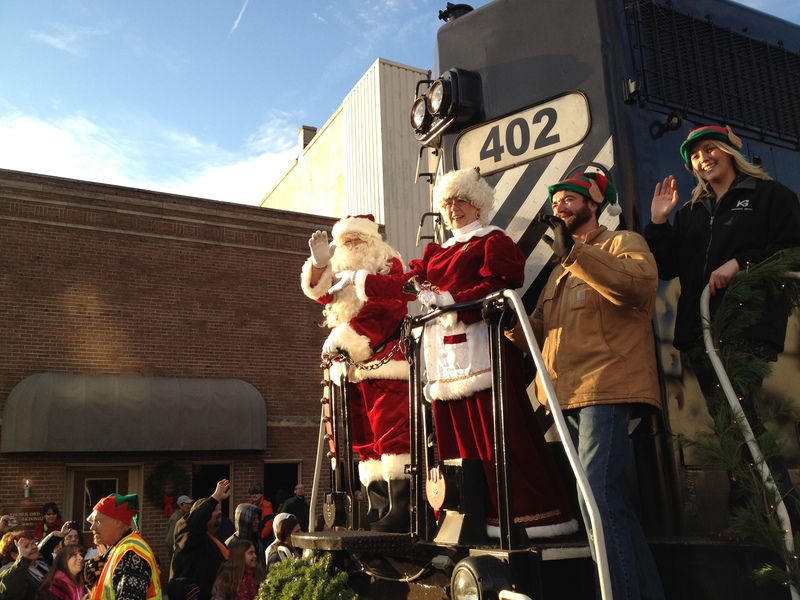 Join us on December 5, 2014 for Kokomo’s Hometown Holiday during First Friday from 5:30-9:00 p.m. See the lighting of Downtown Kokomo with caroling, holiday window displays, and a holiday parade to the Historic Train Depot where Santa will be waiting! For more information, visit www.FirstFridayKokomo.com. Looking for a way to stay active this holiday season? Participate in the Rudolph Family Fun Run on December 6th in Downtown (starting at Kokomo/Howard County Public Library) or the Jolly Jingle 5K Run/Walk on December 13th in Kokomo’s Highland Park. For a list of all events going on in Kokomo, go to www.VisitKokomo.org or download the free Visit Kokomo mobile app. Happy Holidays! Angels are coming … to the Seiberling Mansion! The Seiberling Mansion is about to be home to one of the largest gatherings of angels ever seen in Howard County – big angels, tiny angels, glass angels, and paper angels are appearing in every room of the Mansion! They’re part of the traditional Christmas at the Seiberling celebration in Kokomo. 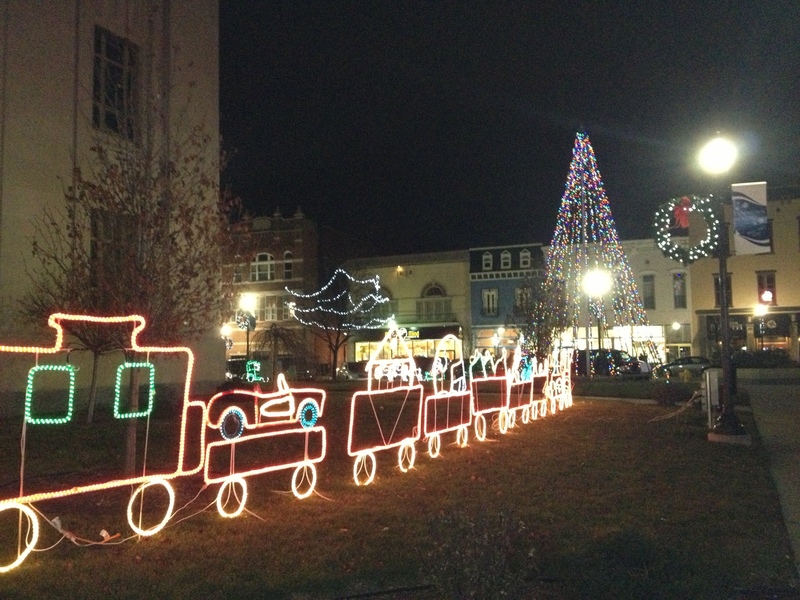 Lighting Ceremony will be held on Saturday, November 30, 2013 from 6-9 p.m. Come witness the official arrival of Santa and countdown to 6 p.m., when the glorious display of outdoor lights is illuminated. 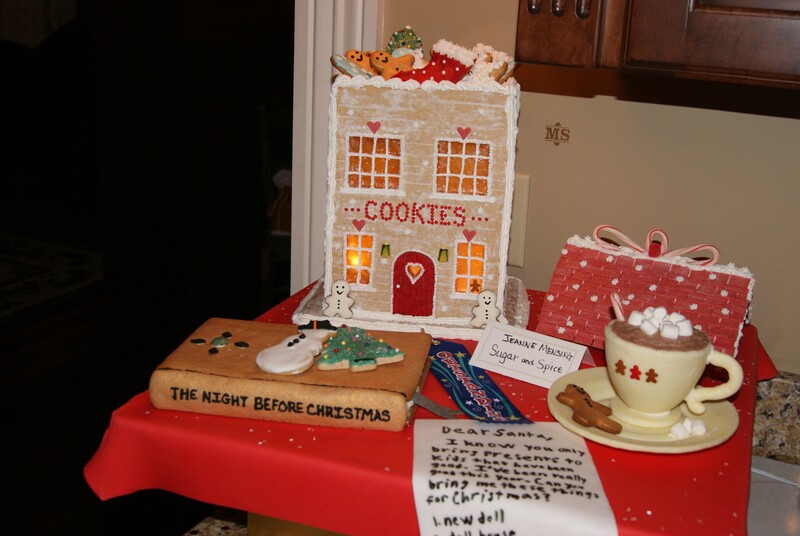 After the lighting, visit the Elliott House (located next door) to warm up with cookies & wassail and give the kids and grandkids the chance to see Santa. For the first time this year, take your own picture with Santa for free. Be sure to bring your camera! In the Seiberling Mansion, tour a true vision of holiday beauty, created by dozens of volunteers. 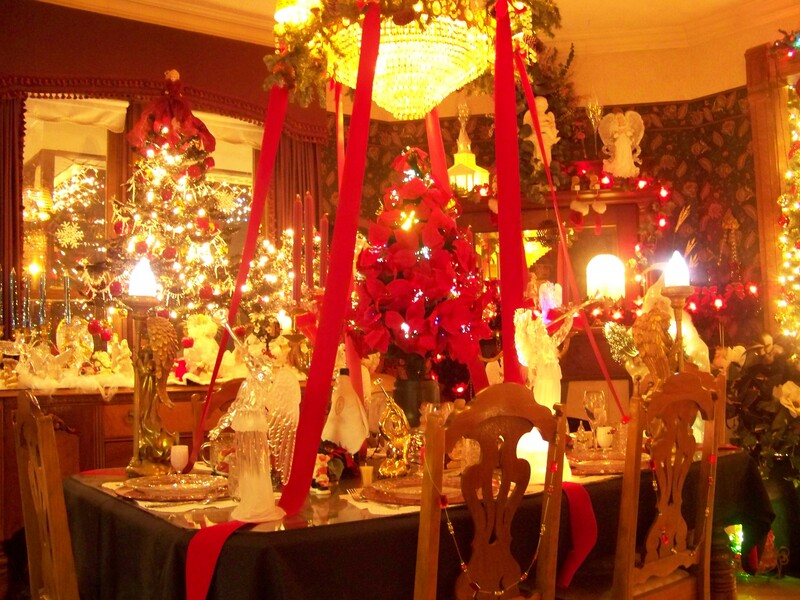 Twenty rooms on all three floors are decorated, and the third floor ballroom features ornaments from the former Blasius Christmas Tree House in Kokomo. Vote for your favorite room! There will be musical entertainment and a contest for kids 12 & under: “How Many Angels Are in the Mansion?” Opening night tickets are available in advance for $7 or at the door for $10. Kids 12 & under are $3 and Howard County Historical Society members are free. Advance tickets are available online. 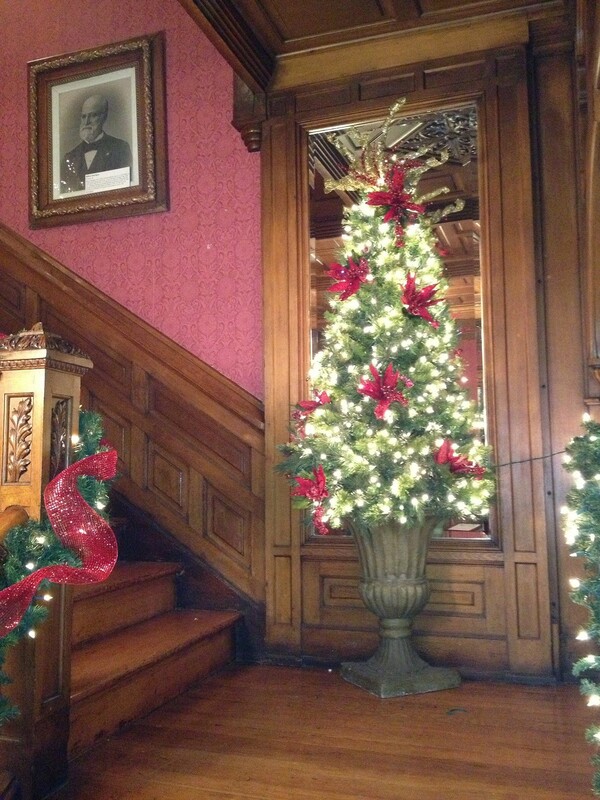 Christmas at the Seiberling holiday tours will continue through December 22, 2013. Hours are Tuesday through Sunday 1-4 p.m. Daytime tour admission is $5 adults, $4 seniors, and $2 for kids 12 & under. 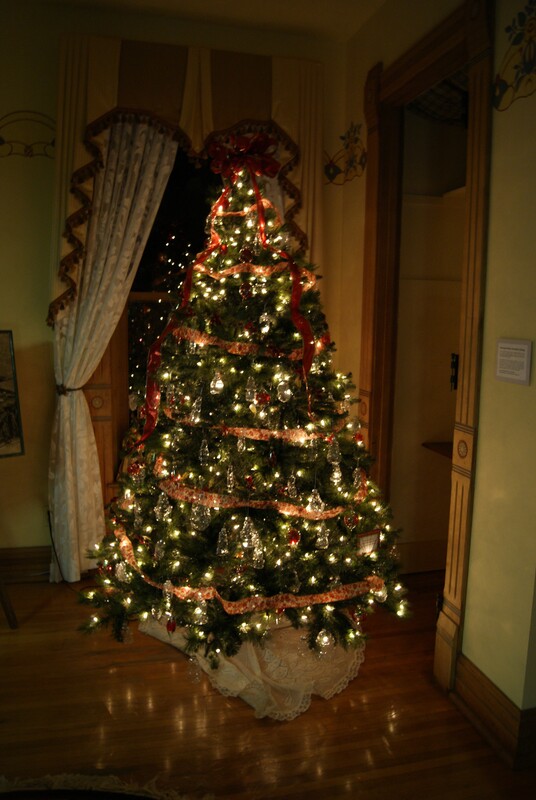 The Seiberling will also be open on December 6th from 6-9 p.m. during First Friday. Enjoy an evening of holiday fun with Mansion tours, along with many family-friendly activities in Downtown! 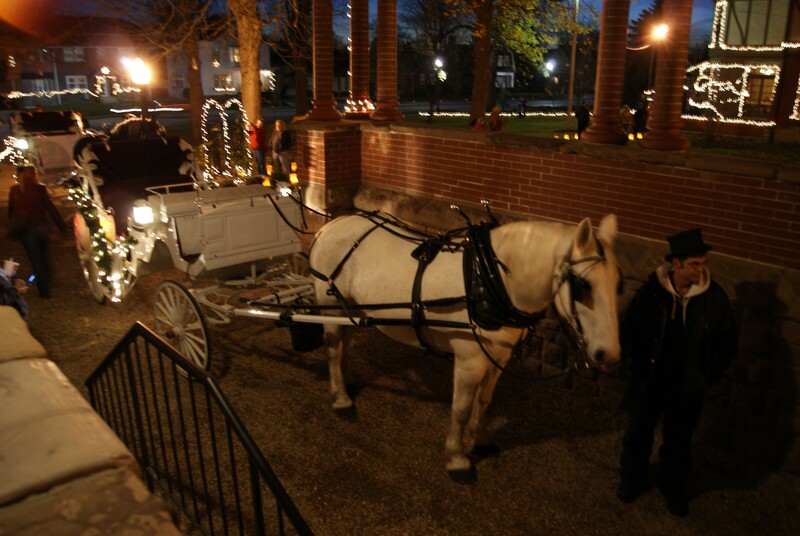 Carriage rides will be available on both November 30th and December 6th from 6-9 p.m. The cost is $50 and includes up to six people. Advance reservations are required. The Seiberling Mansion is located at 1200 West Sycamore Street in Kokomo. For more information on tours and special events, call (765) 452-4314 or visit www.howardcountymuseum.org. See a sneak preview of the angels at www.facebook.com/hchistory! 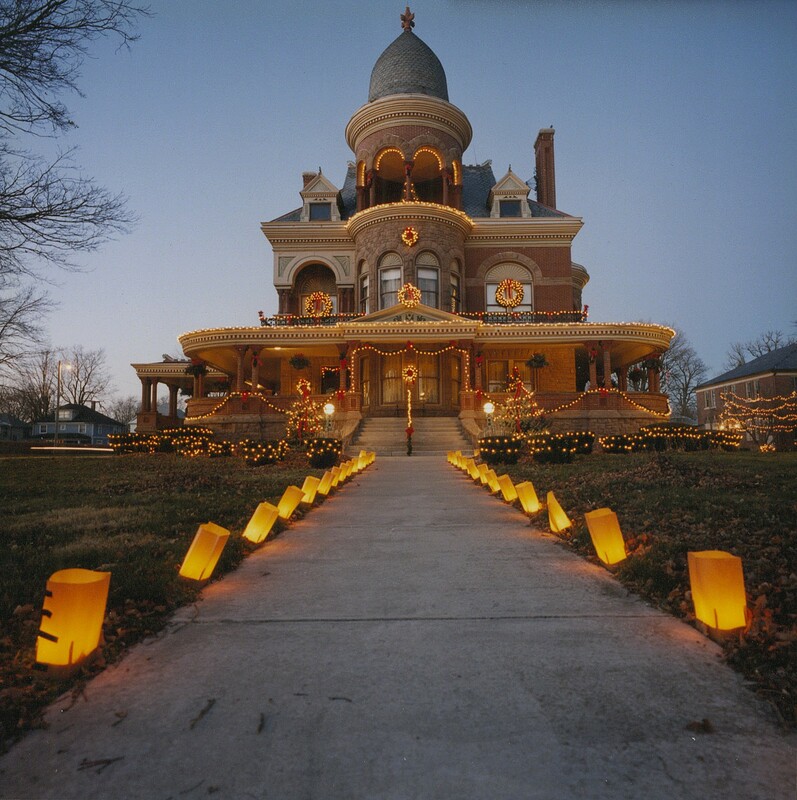 Come and be the first to tour the Seiberling Mansion by the magic of candlelight and experience scenes of life from a gentler time. 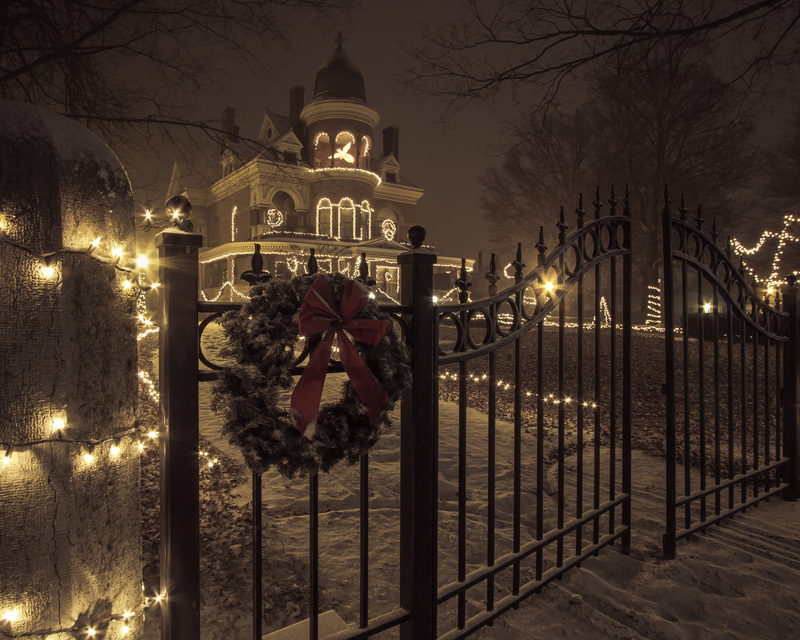 On Saturday, December 10, 2011 from 6 to 9 p.m., make plans to tour the Seiberling Mansion after dark with only the lights from the Christmas trees illuminating the beautifully decorated interior of the mansion. The tour will last approximately 40 minutes and the cost is $7 per person. Reservations are required, and guests must be able to climb three flights of stairs. The Seiberling Mansion is located at 1200 West Sycamore Street, Kokomo. Attendance is limited to 130 people (10 people per tour group). Call the Howard County Historical Society as soon as possible at 765-452-4314 to make your reservation and reserve your tour time. This event is sponsored by Star Financial Bank. 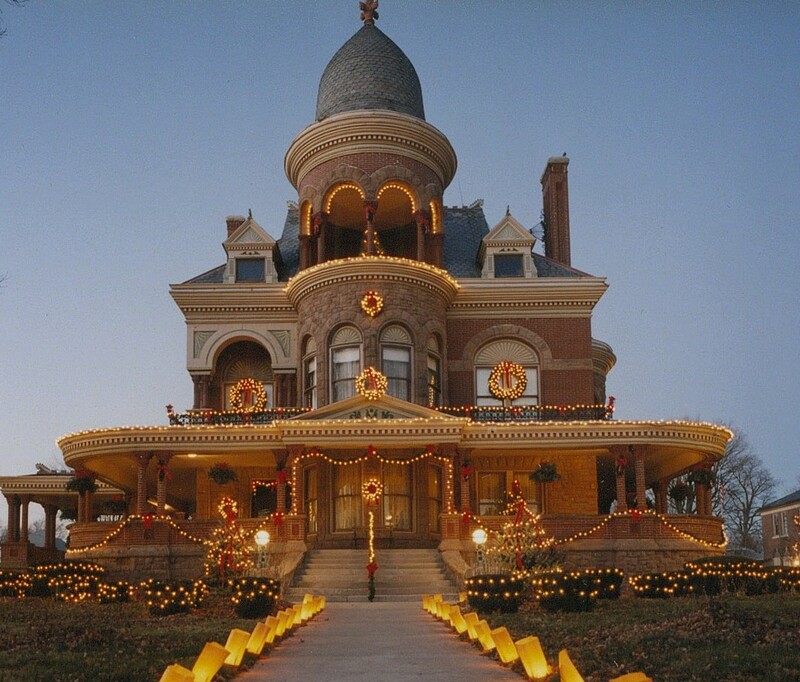 Don’t miss a visit to the Seiberling Mansion during the holidays, an annual tradition in Kokomo! 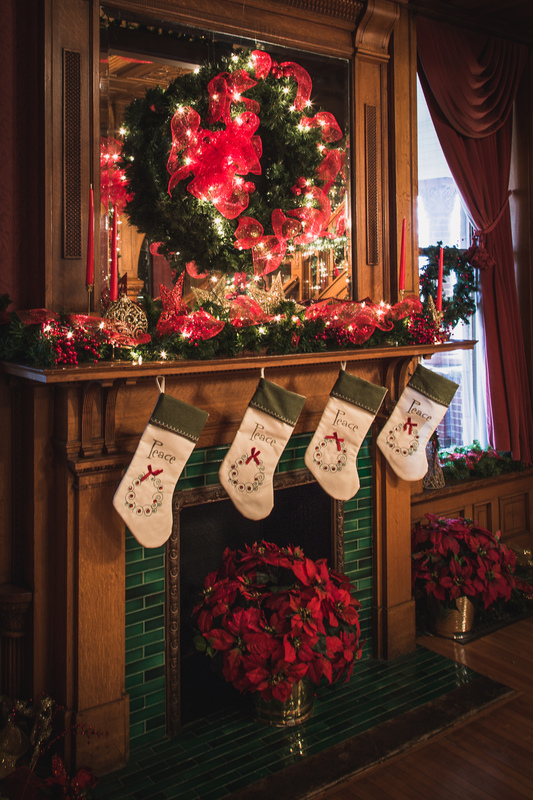 The Seiberling Mansion, built in 1891 by Monroe Seiberling, is beautifully decorated both inside and out. Christmas at the Seiberling Opening Night will be held on Saturday, November 26, 2011 from 6:00-9:00 p.m with the Lighting Ceremony on the lawn at 6 p.m. Activities throughout opening night include visits and pictures with Santa, carriage rides (advance reservations required), cookies & wassail, museum tours, special entertainment & more. Admission is $4 for adults and $1 for children 12 & under. A special Candlelight Tour will be held on Saturday, December 10, 2011 from 6-9 p.m. (reservations are required.) The Seiberling Mansion is located at 1200 West Sycamore Street in Kokomo. For more information, call 765-452-4314 or visit www.howardcountymuseum.org. The We Care Christmas Tree House will be open for its 15th (and final year) this holiday season. Located at 1501 East Sycamore Street, the owners of this private residence transform their Kokomo home each year and offer public tours. Tours will be given daily 5:00-9:00 p.m. from November 26-December 23, 2011. The home will be open special hours on December 3 & 4 from 12:00-9:00 p.m. Free will donations will be accepted for We Care. For more information on holiday events or tours in Kokomo, call 800-837-0971 or visit our Calendar of Events. 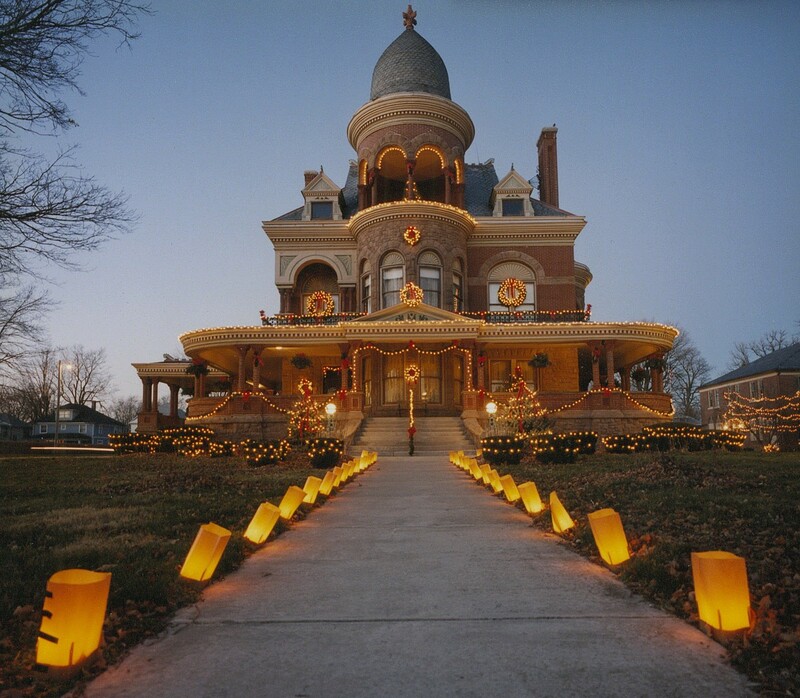 Christmas at the Seiberling, an annual holiday tradition in Kokomo, will kick off with the Opening Night Lighting Ceremony on Saturday, November 27, 2010 at 6:00 p.m. at the Seiberling Mansion, located at 1200 West Sycamore Street in Kokomo. Admission is $4 adults and $1 children under 12. Thousands of lights will be turned on to illuminate the beautifully decorated Seiberling Mansion for the holiday season. Santa will arrive in a horse drawn carriage, and the evening will be filled with holiday fun, visits with Santa, musical performances, cookies & wassail, and Mansion tours from 6:00-9:00 p.m. Carriage rides will also be offered, but must be reserved in advance by calling 765-452-4314. Christmas at the Seiberling will continue through December 30, 2010 (closed on Dec. 24 & 25.) Visitors can tour the Seiberling Mansion in its holiday splendor Tuesday through Sunday from 1:00-4:00 p.m.
Other 2010 holiday events at the Seiberling Mansion include the Holiday Spirits Wine, Champagne and Beer Tasting on Dec. 3 from 6-8 p.m. and the Seiberling Mansion Candle Light Tours on Dec. 11 from 6-9 p.m. In addition, lunch and tours and Seiberling Mansion dinner parties are available by reservation only. For more information, call 765-452-4314 or visit www.HowardCountyMuseum.org.